Here at Bathrooms By Design Inc., we have the years of experience and the training necessary to turn your kitchen into the space you want. With kitchen cabinet refinishing, you can give your Calgary kitchen a facelift without all the headaches and disruptions that can come from a complete remodel. We specialize in renovations and remodeling, and use only the highest quality products to turn your dream home into a reality quickly and efficiently. When the people of Calgary want quality work from professionals they can trust, they come to us first. 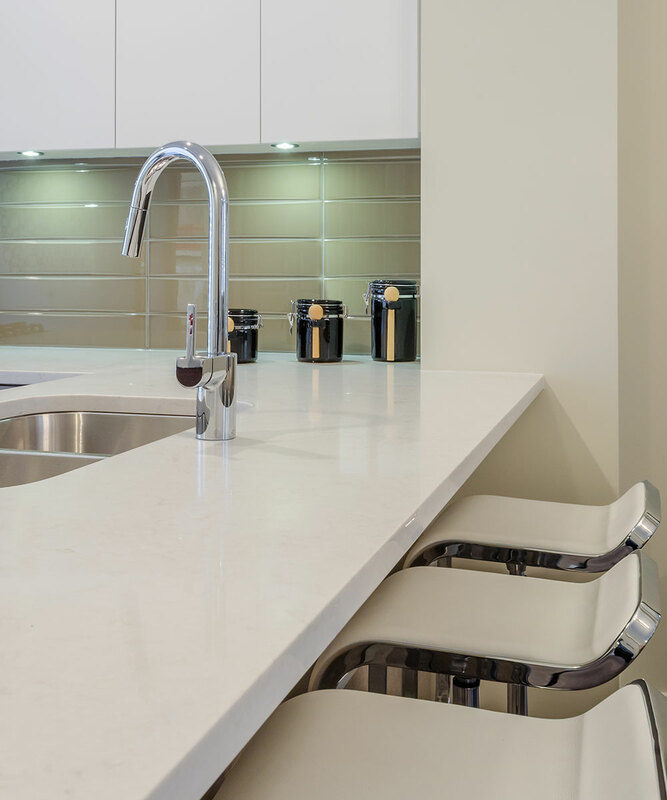 We specialize in creating new kitchens that our customers love, or using innovative, creative solutions to turn an existing kitchen into something fresh and new. Our customers are our best advertisements, and we are proud of our retention rate with the people of Calgary. When you choose Bathrooms By Design Inc. for your cabinet refinishing, you get affordable prices, professional advice, and jobs that are always finished on time. We take pride in our work, and you are more than a bottom line to us. Allow us to turn your kitchen from something dreary and outdated into something lively and modern in just a short period of time. We strive to be honest and transparent with every transaction, and we set our budgets before we start, so you know exactly what you are getting from us. If you’re ready for a completely new look for your Calgary kitchen, but don’t have the time or money to invest in a total remodel or new cabinets, let us refinish them for you. Call us today to set up a consultation at (403) 241-9440.